In honor of St. Patrick’s Day, belly up to the bar, relax and raise a Pint O’ Gold, toasting your good fortune! 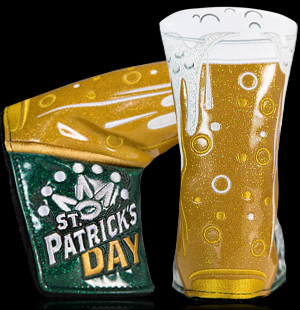 Even a few savvy leprechauns have been spotted taking a break from gold hunting to enjoy Scotty’s latest headcover homebrew. Speaking of luck, a few Pint O’ Gold lovers will find a green beer at the end of their rainbow. Gives grabbing your putter a pint new meaning. Released to Club Cameron on March 13, 2018.